In delicate maroon, with a simple stripe detail, Rifky's a natural looker – thanks to its jute and cotton composition. Natural fibres make up Rifky, adding understated beauty as well as a natural zen. 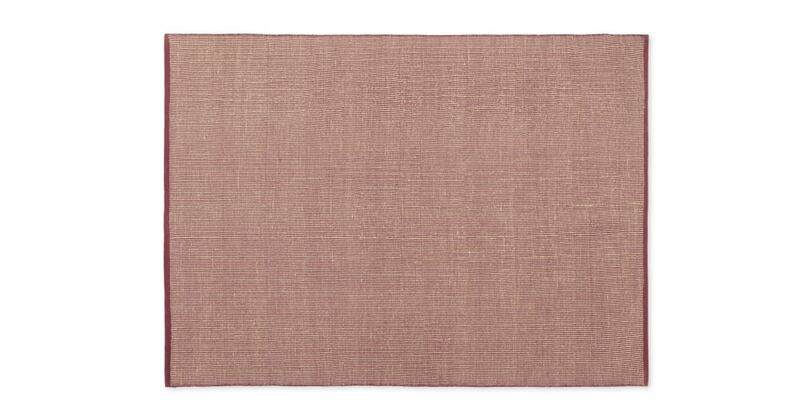 The jute gives it a slightly coarse texture, for extra durability. This rug's got subtle charm – the subdued striped pattern adds energy to your space, without overwhelmind it. Place it under your coffee table to cosy up your living room.